Someone having a party? 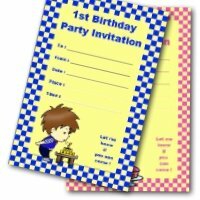 This free printable kids birthday invitation would be a great way to invite guests. 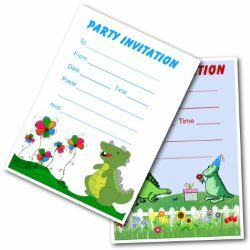 These free kids party invitations feature a fun dragon design. 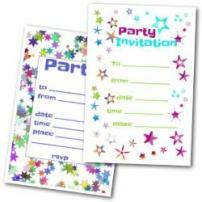 They print two to a page - just cut apart and fill them with your party details. Suitable for both boys and girls - and fun for 'grown-up' kids too! 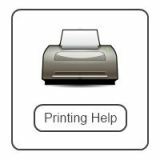 TIP: Check your printer cartridges before you start printing - you don't want to run out of ink. 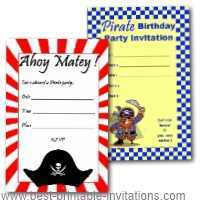 These invites would work really well for a knights and dragon theme birthday. 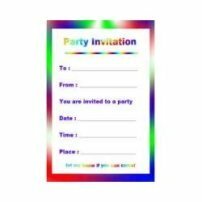 Free Birthday Invitation for Kids. A fun way to decorate would be to turn the room into the inside of a castle. Cut out castle shaped ramparts and paint them grey or with a stone effect. Painted cardboard shields and pennants can be used to brighten the effect. Think medieval! Team your decorations with a dragon birthday cake and you will be onto a winner! Other dragon theme food could include a treasure chest filled with candy (dragons always have treasure!) and dyed eggs (as dragon eggs!). 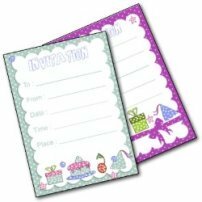 There are lots of fun dragon party games that you can play. 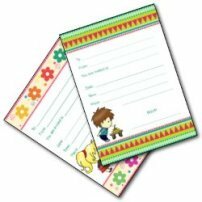 How about 'pin the tail on the dragon' or 'hunt the dragons eggs'. Or set up a jousting contest for the knights - stand a cardboard opponent at one end of the room and get the knights to try to knock him over with bean bags. For something quieter, try decorating small cardboard shields with stickers. Or print out some coat of arms and let the children choose the one they like to stick onto their shields. 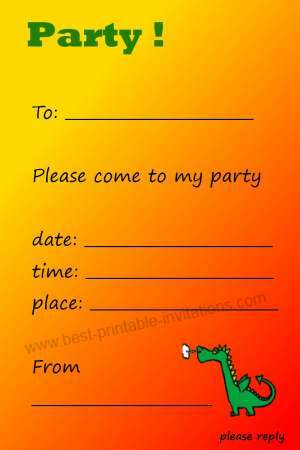 Dragon theme parties can be lots of fun - so get off on the right foot with my printable dragon invites. 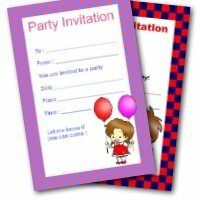 Why not take a look at my other invitations too?